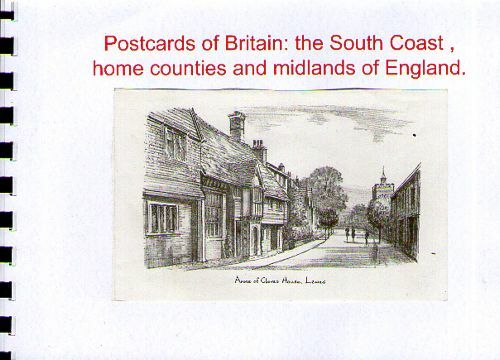 Postcards of Britain: the South coast, home counties and midlands of England. This is the sixth of seven journals of Postcards of Great Britain and Northern Ireland. This one is for postcards of the South coast, the home counties and midlands of England: the Isle of Wight, Sussex, Kent, Surrey, Hamp-, Berk-, Wilt-, Gloucester-, Oxford-, Buckingham-, Hertford-, Bedford-, Northampton-, Warwick-, Worcester-, Hereford-, Shrop-, Stafford-, Leicester-, Northampton-, Nottingham-, Derby- and Che-shire, West Midlands & Rutland. They were amongst a box of some 60 years of postcards collected by members of my family. You can write, draw or comment on any of the postcards. Use the page facing the postcard. From time to time I will mooch the journal back and rebind it to include a few extra added postcards. If many are added I may add a second volume later. 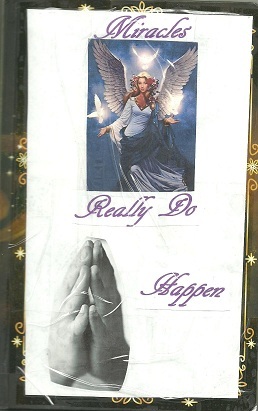 I believe that miracles happen everyday, all around us. Whether it be a birth of a child or someone walking away from a horrible accident. With the way the world is today, I thought this is the perfect time for this journal. Use as many pages as you need, add what your heart leads you to. Don’t alter anyone else’s contributions. 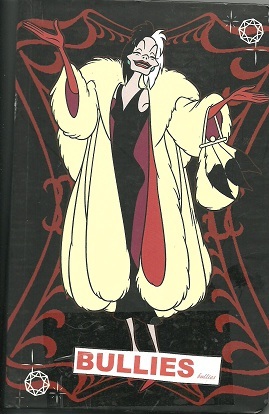 Only mooch within Bookmooch. Relist within two weeks. Return to DRWS when full.